12-step programs could be said to be a life saver for many in recovery from addiction of all kinds. The ethos of the groups provides a structure and a blueprint for living without whatever alcohol, drugs, or other addictions. However, with the emphasis on spirituality, or religion as many see it, 12-step programs are not to everyone’s taste or values. 12-step programs are also criticized for creating dependency on the program. Due to this and a variety of reasons, many people would prefer not to join a 12-step program and attempt alternative approaches. There are a number of approaches that are not 12-step in orientation, but do offer group support. In the UK the NHS offers recovery services that focus more on peer support. 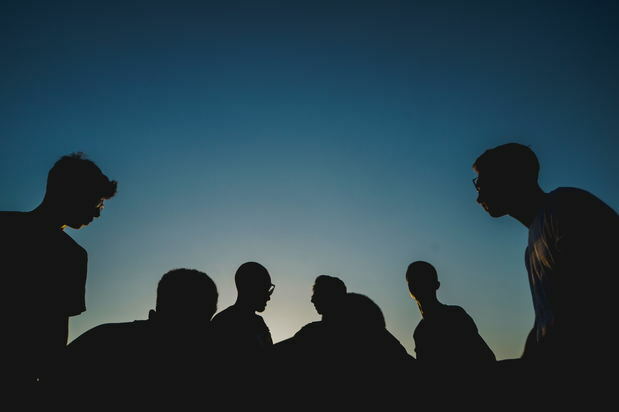 12-step programs do offer group support, but there is a heavy emphasis on following the program, and the group is seen as secondary to the steps. 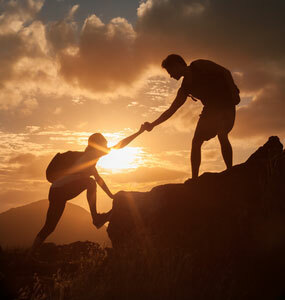 People following a peer support program find they can rely on each other, and also challenge each other over their addictive behaviours. There is usually no formal program to follow, as such, rather the emphasis is on people sharing the tools they have picked up for themselves in overcoming their addiction. Another point to consider is that the focus in 12-step approaches is non-secular, whereas the peer support groups offered through the NHS are secular in orientation. That is, they do not expect or rely on the idea of a ‘higher power’ or a spiritual approach to recovery. Many find the spiritual element of 12-step programs problematic if they do not follow a particular religion or spiritual lifestyle. SMART recovery is another support network for people in recovery that is non-secular. It is based on the therapy called Rational Emotive Behaviour Therapy and claims to have a more evidence-based approach than 12-step programs. SMART provides practical tools, in the form of group exercises and worksheets that can be used to overcome addictive behaviors. Another secular approach is Rational Recovery, which again makes claims to be evidence based. This approach views addiction as an inner ‘addictive voice’ and encourages addicts to recognize their addictive voice and provides tools to challenge this inner dialogue. Advocates of the secular approach to recovery would argue that their approach encourages people to take more personal responsibility for their own recovery, rather than ‘handing it over’ to a higher power, admitting personal powerlessness over their addiction. In the modern world, many people have moved away from religion or spirituality as a guiding force in their lives, and for this reason it is understandable that alternative approaches to recovery are sought. It is also worth considering the idea that having a range of approaches is beneficial. The more routes to recovery available, the better. Each person who comes to recovery is unique, and as such, having a variety of choices when it comes to overcoming addiction ensures that as many people as possible will be able to find a recovery solution that suits them. There are a number of approaches that are not 12-step in orientation, but do offer group support.